I discover new green beauty brands almost on a daily basis, mostly thanks to the instagram #greenbeauty hashtag, I check that thing daily because I'm obsessed. I have a growing list in my notebook for brands I've discovered recently so I don't forget, it's getting awfully long lately so I thought I would start a new little series on my blog highlighting one or two brands at a time so you can be introduced to some new & interesting natural beauty brands too! First up we have IDA.KEW, a Turkish brand I discovered on instagram quite some time ago. A lot of their pictures are in turkish (I think?) so I don't have a clue what they're talking about when they pop up in my feed, but as a sucker for good packaging design I just had to check out their site which is luckily in English. IDA.KEW was founded by Selma Aydemir who is from a village at the base of Mount Ida. She studied in London & there discovered the Royal Botanical Gardens, Kew, where she learnt so much about the botanical world. 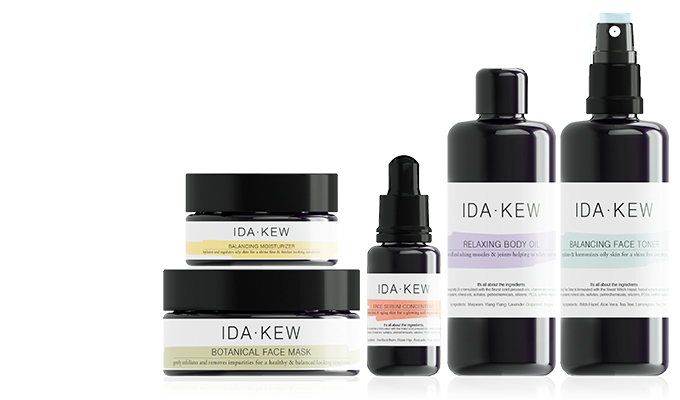 After travelling the world IDA.KEW was born from the purest ingredients and scientific mixing methods. Everything in the range looks so lovely but I particularly love the sound of the relaxing body oil; it's a blend of nourishing oils such as sweet almond, sesame, grape seed and more, aswell as a dreamy essential oil blend of lavender, ylang ylang, bergamot, lemon and mandarin. It just has my name written all over it. Next up we have KYPRIS. This brand popped up from nowhere on my instagram feed a few weeks ago and now those gorgeous blue and red bottles are everywhere. With good reason though because what I can gather from everyones glowing reviews and my own infatuation (aka slight stalking) these serums are goooood. I took the little skin test on their site and got the all 3 serums and the Prismatic Array Elixir for sensitive skin, so spot on really! I wish all sites had forms you could fill in to help you pick suitable products from their range. 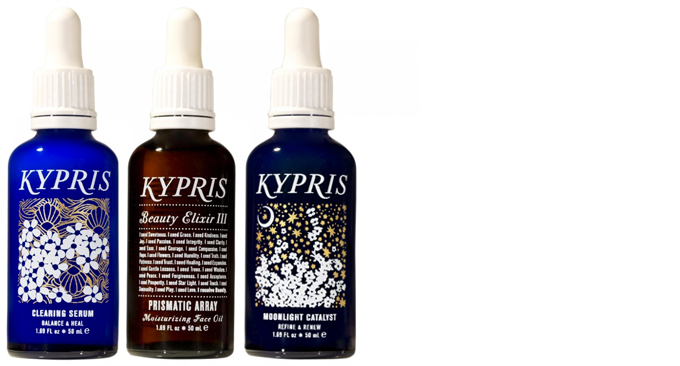 I'm most drawn towards the Moonlight Catalyst and Clearing Serums. I don't have many (if any) exfoliating products in my routine at the moment and the Moonlight Catalyst sounds like a dream as it works to gently exfoliate your skin while you sleep and I bet it would be fantastic for milia! The clearing serum is another wonder I've read a lot about, and the description says its "Support skin’s inherent healing capabilities to minimize the appearance of irritations and blemishes." My main skin woe is flare ups of dermatitis and hormonal blemishes so I would love to know how this would work for me. Have you heard of or tried something for either of these brands? KRYPIS seems beautiful. Another brand focused on quality, efficacy, and ethicality. I can't wait to try out one of their lovely serums!